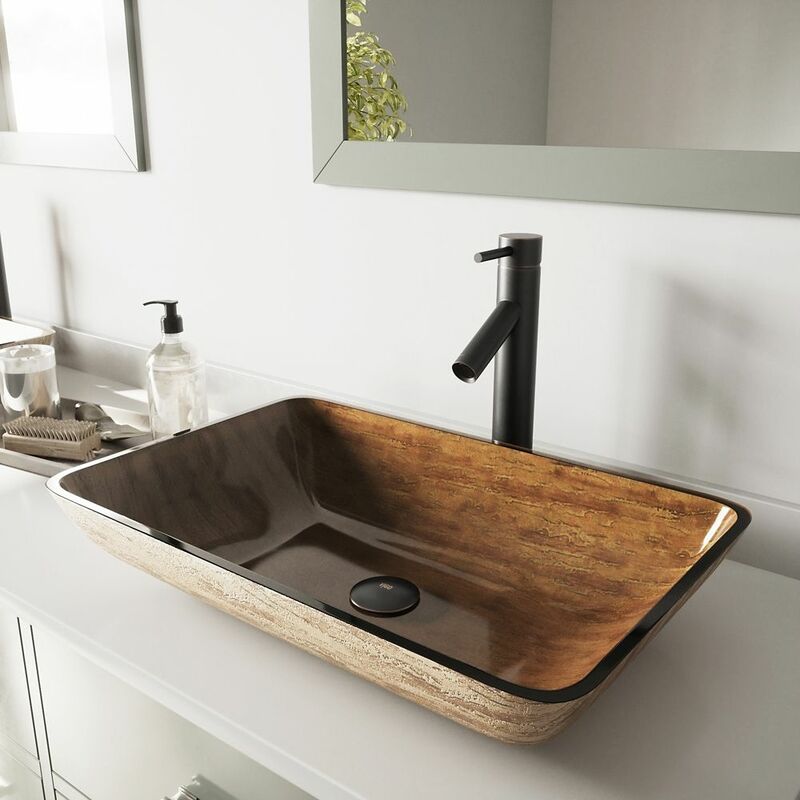 Rectangular Glass Vessel Sink in Amber Sunset with Dior Faucet in Antique Rubbed Bronze is rated 5.0 out of 5 by 1. Rated 5 out of 5 by PMJ1 from Looks fantastic This is my 2nd Virgo vessel sink. Everyone who see's it tells me how great it looks.